Thought to come from French ancestors, the Otterhound is a large breed that's close to extinction. Used in packs by fishermen to help catch and retrieve otters, the dog has a good scent trail and webbed feet to help retrieve fish. With sea otters on the endangered list, we're seeing less of this breed. Extremely affectionate and devoted to his family, this breed is a large and loving animal. 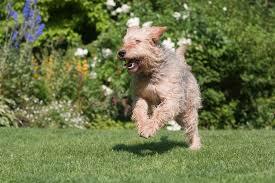 Otterhounds require a great deal of exercise, and not just chasing a ball in the backyard. A vigorous daily workout of jogging or swimming for several miles is needed to keep him physically and mentally healthy. However, because of the adverse effect of strenuous exercise on growing joints and bones, you should limit exercise among puppies and adolescent Otterhounds. Swimming is the best exercise for younger dogs, because the risk of joint injury is minimal. Otterhounds are rare - there are fewer than 1,000 throughout the world. Approximately 350 live in the U.S. and Canada. The rest are primarily in Great Britain, the Netherlands, Scandinavia, Germany, and Switzerland. Closely resembling the Petit Basset Griffon Vendéen, the Otterhound may have its roots in France. 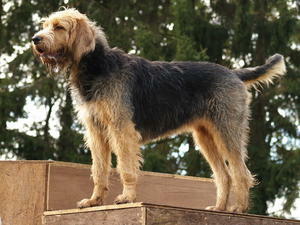 Being a very unusual member of the Hound Group, the Otterhound is a hardy scenthound, whose origin is unknown. 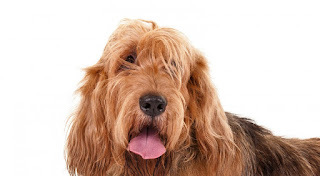 The Otterhound may have its roots in breeds such as the Welsh Harrier, Bloodhound, Southern Hound, or a kind of water spaniel. Although there is not much to be said about the genetic makeup of the breed, it was a prized otter hunter in England as early as the 13th century. In 1212, King John kept the earliest documented Otterhound packs. This dog was used for searching for otters, which were exhausting the fish in local streams. The dog trailed the prey to its hideout and bayed after locating it. After the hunters arrived, they would take away the Otterhound and use small terriers to kill the otter. Although otter hunting was not a popular sport - as it lacked the formality of foxhunting and took place in wet weather conditions - the breed rose in popularity during the later part of the 19th century, when more than 20 packs hunted in England. However, this sport started losing its prominence after World War II. 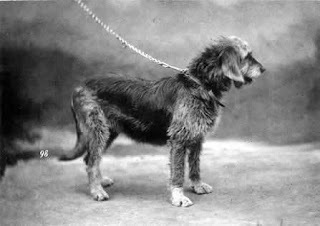 The first Otterhound was introduced to the United States at the turn of the 20th century; soon thereafter, the American Kennel Club would formally recognize the breed. Unfortunately, this ancient English breed is slowly becoming extinct. Otterhound fanciers are often not in favor of breeding the dog for dog shows and thus it has not been very popular as a pet or show dog. 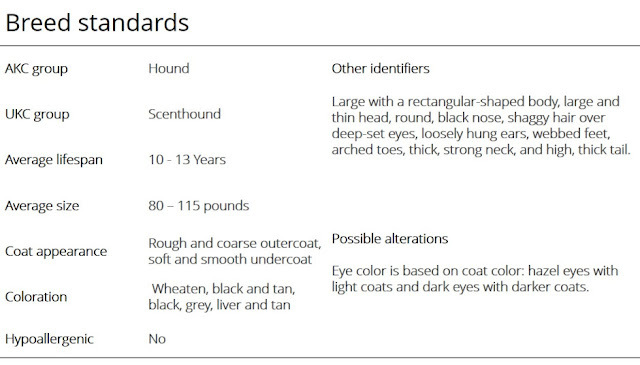 The Otterhound is an amiable fellow, with plenty of affection for every member of the family. He loves children, though he can play a little rough due to his large size. He is devoted to his family, but not overly so. 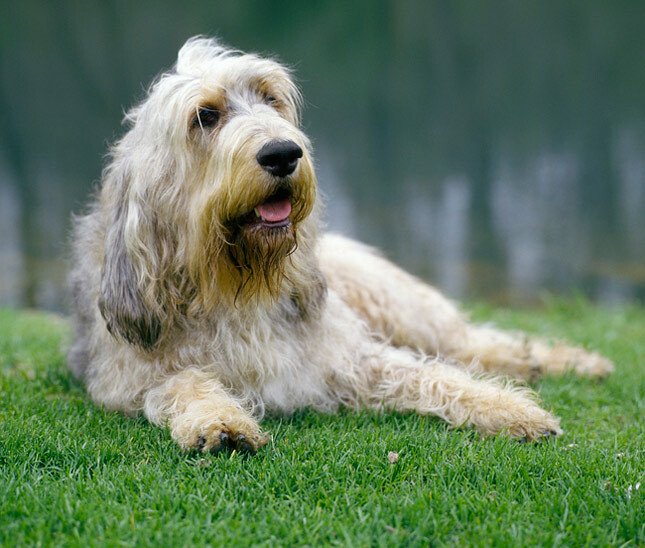 Like most large, rapid growing breeds, Otterhounds occasionally suffer from joint problems such as hip and elbow dysplasia. They are also known to suffer from ear infections due to the long, droopy shape of their ears. Otterhounds can also sometimes suffer from epilepsy and this is considered to be a hereditary ailment. The Otterhound is not a breed that can brag of its tidiness, as food often gets trapped in its mouth a face, or mud in its hairy feet. Therefore, the dog should be brushed and combed at least once a week. More over, the Otterhound requires a daily exercise regimen. It can sleep outdoors in cool and temperate climates if given proper shelter. 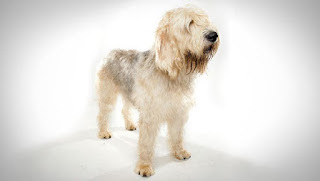 Otterhounds were never bred to be kept as companions and are therefore not the easiest of dogs to train. Training them requires a firm hand and a great deal of patience. They are also a good-natured breed and do not respond well to harsh training methods. A firm but gentle approach always works best with this breed. 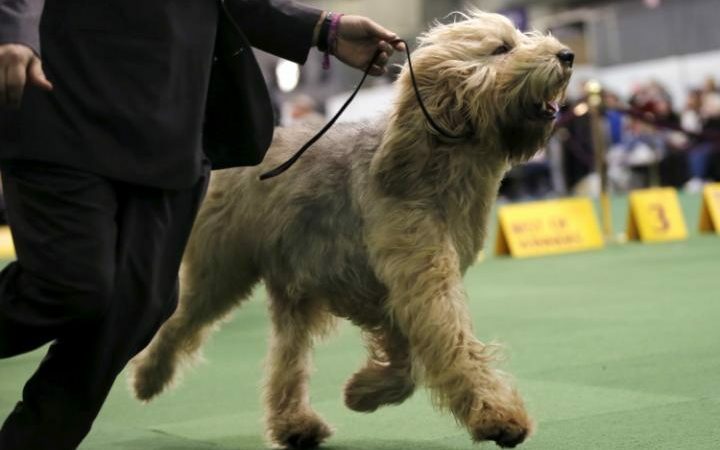 It is also important that an Otterhound’s owner display consistent leadership as this dog can turn willful and stubborn if faced with a meek or passive owner. Otterhounds have a great deal of stamina and require strenuous and daily exercise. They make excellent jogging and hiking partners and can keep up a steady trot for the better part of the day. When not exercised sufficiently they can sometimes turn destructive. 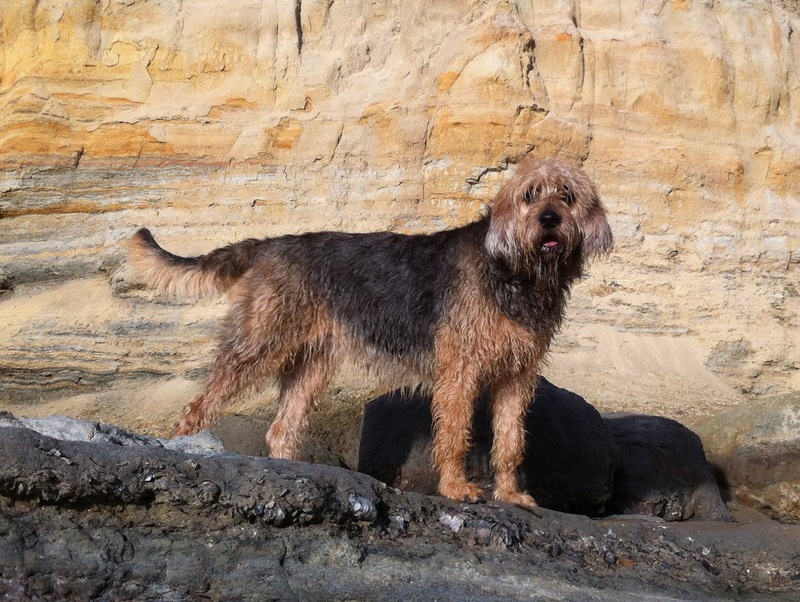 A loving and devoted companion, the Otterhound is good with children of all ages. Affectionate and smart, this breed gets along well with all members of the family, including cats. Known to have a knack for hunting, he may chase small animals and fish if given the opportunity. A terrific companion and great for outdoor life and camping, he'll enjoy any type of activity that involves swimming. Although inactive indoors, this breed is not recommended for apartment living due to his large size and need for regular exercise. Waking up to hang out with the family around the breakfast table, the Otterhound will be ready for his morning walk. Once back inside, he'll snooze before the gang leaves. When alone, he'll ensure the home turf stays protected. Frequenting the backyard, he may swim a few laps in the pool. Once home, he'll greet you with a furry smile. After a rubdown and another walk, he'll be ready to relax with the entire family.